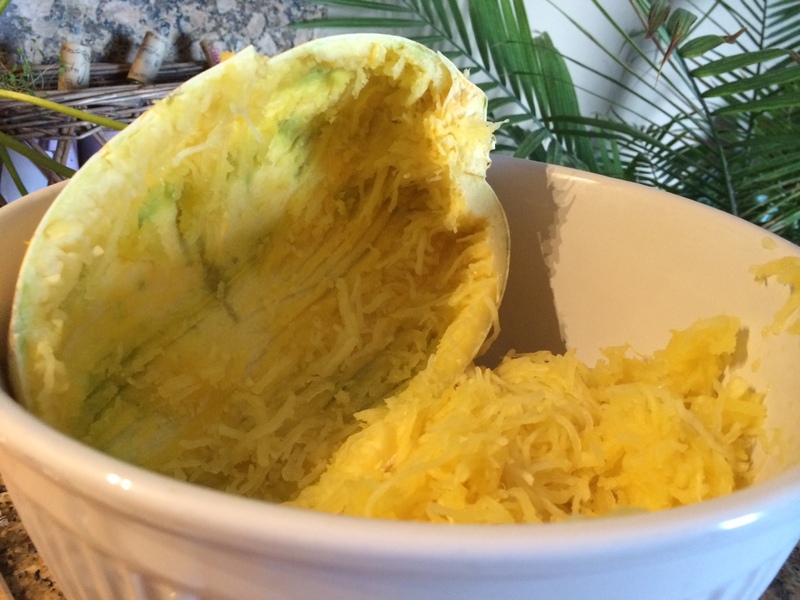 Spaghetti squash could possibly be the most amazing vegetable on the planet. I thought it would be beneficial to do a post on cooking spaghetti squash because I do cook a lot of recipes that involve it. It’s pretty easy to cook and the hardest part is getting the squash open. 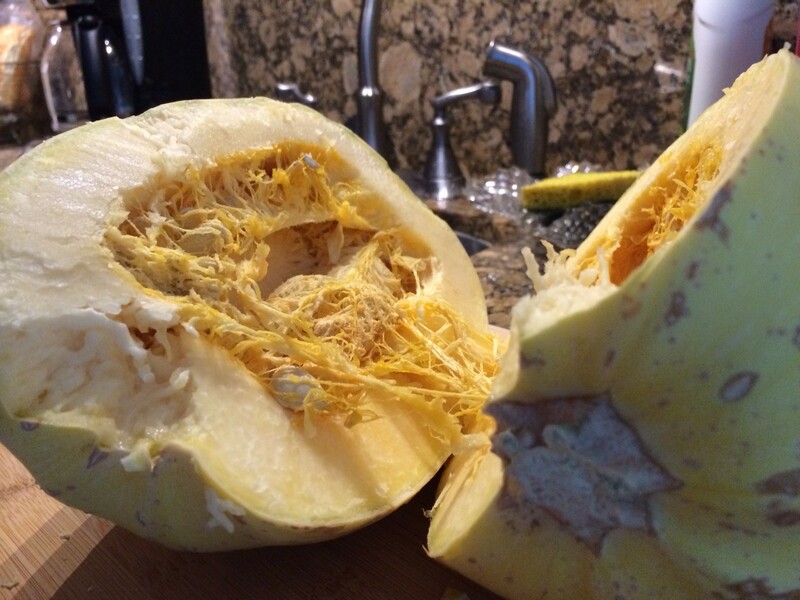 So, without further ado, here’s how you cook a spaghetti squash in 5 simple steps. 1. 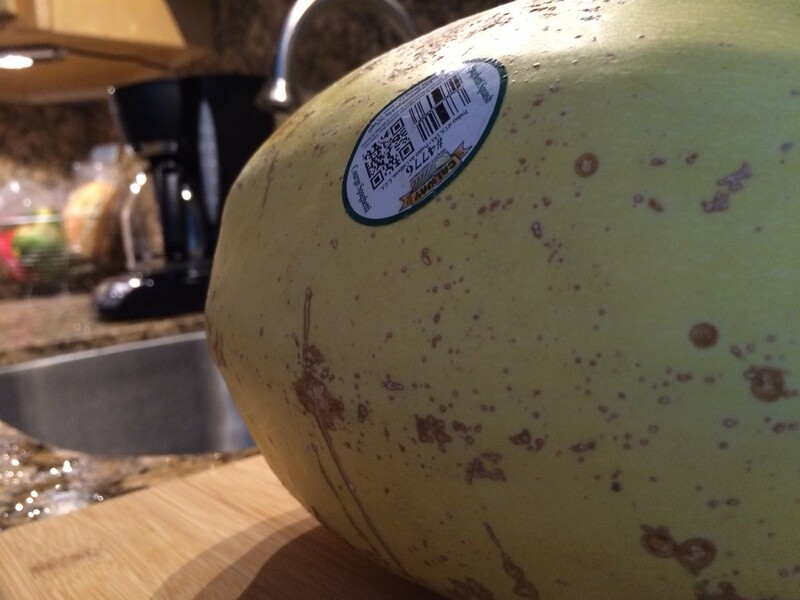 Buy spaghetti squash (that one’s pretty self explanatory). 2. 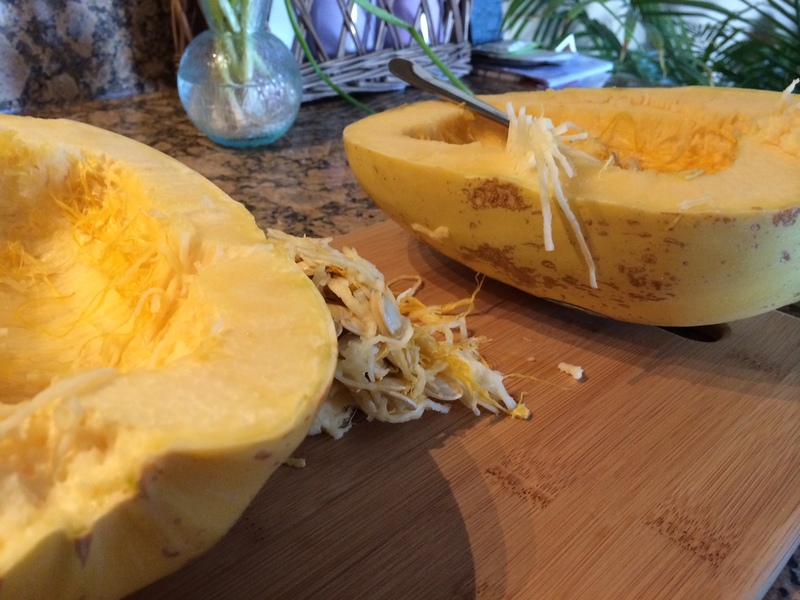 Cut spaghetti squash open length-wise. This can be a little tricky and involves some semi-dangerous knife-work, so be careful! 3. Scoop out the seeds/middle of the squash. 4. 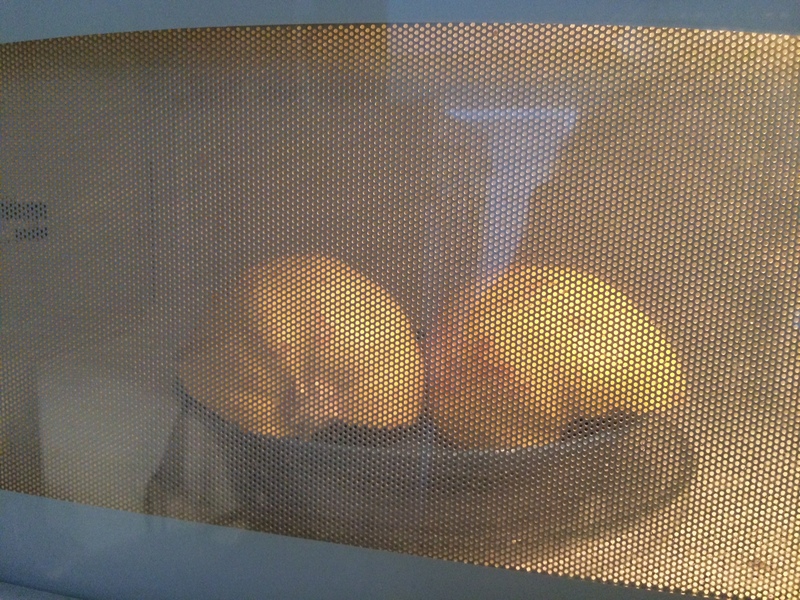 Place spaghetti squash flat side down on a plate and microwave for 10-12 minutes. ***Update – You can also cook it in the oven at 375 for 45-1 hour. I have also read in the past that cutting the sides off (where the stem is) might make it easier to cut length-wise. I have also read that microwaving the entire squash for a 2-3 minutes might soften it up and make it easier to cut in half. Hi! I haven’t tried this method, but you can cook it at 375 for 45-1 hr. Placed the same as my instructions – flat side down, rind up!